Experience the rich history, culture, and chocolate of central Pennsylvania from the perfectly located Red Lion Hotel Harrisburg Hershey, a top choice among hotels in Harrisburg, PA. Our hotel near Hersheypark is convenient for family vacations, while our location just minutes from Harrisburg International Airport, makes us an ideal destination for business travelers. While you're here, explore historic, family-friendly, and exciting Harrisburg area attractions like the National Civil War Museum, Gettysburg Battlefield and Lancaster - the famous Amish Country. 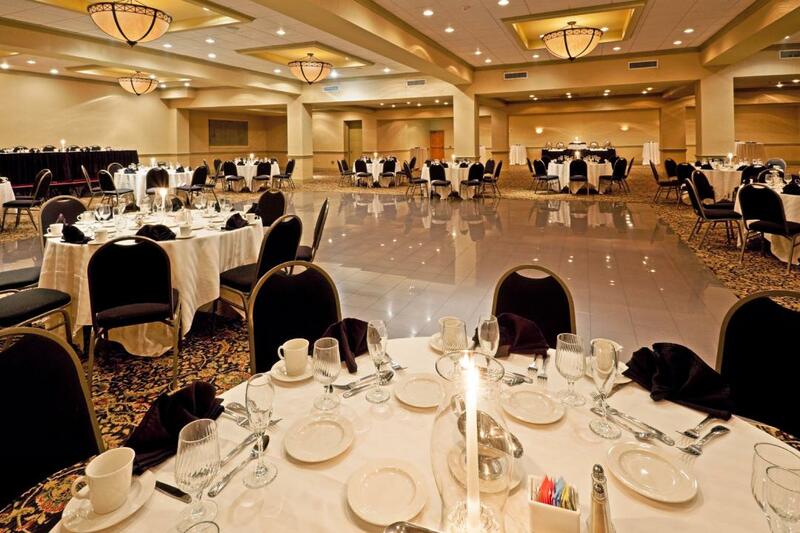 With over 25,000-square-feet of event space in Harrisburg, as well as in-house catering service, Red Lion Hotel Harrisburg has everything you need for a successful event. Enjoy an Olympic-size outdoor pool and large rooms and spacious suites at one of the few pet-friendly hotels near Hershey. Red Lion Hotel Harrisburg Hershey provides everything you need for the best value among Harrisburg hotels. Our Harrisburg Hershey hotel offers amenities and features designed to help you feel at home while you're away. Traveling to and from this conveniently located choice among Harrisburg, PA hotels is easy; take advantage of our complimentary Harrisburg airport shuttle service offering service to and from Harrisburg International Airport (MDT) during the times of 6am-12pm and 4pm-11pm. Enjoy pet-friendly accommodations, access to three hotel pools, and an unbeatable location near Hersheypark, Gettysburg, and the best attractions. Free Airport Shuttle Service to Harrisburg International Airport (MDT). Based upon availability during the times of 6am-12pm and 4pm-11pm. As one the best family-friendly hotels in the Harrisburg Hershey region, Red Lion is well-equipped to keep your kids endlessly entertained. We're perfectly located near numerous things to do in Harrisburg with kids, perfectly positioned in Central Pennsylvania next to some of the most popular family-friendly attractions, including Hersheypark. Onsite entertainment at Red Lion Hotel Harrisburg Hershey includes arcade games, ping pong, and a billiard room. The Playworld playground lets small kids run around for fun. Outdoors, we have a sports court with space for volleyball, basketball, tennis, and shuffleboard. Active kids will also love our indoor and outdoor pools, which has a whirlpool for the adults. Our accommodations include oversized suites and pet-friendly rooms to fit the entire family, even infants with our available cribs for accommodating Hershey Park vacations. We have conventional amenities, like 32" flat-screen TVs with cable and Showtime, and free Wi-Fi, so you can entertain your kids with movies, games, and more when you're staying in for the night. Our complimentary shuttle to Harrisburg International Airport takes the hassle out of vacationing. When you arrive, feel free to ask us for more suggestions on the best Harrisburg things to do for families. At Red Lion, we understand traveling can be stressful. As one of the most desirable hotels near Harrisburg Airport, we're proud to offer unparalleled convenience, premium amenities and friendly service to travelers from near and far. Take advantage of our complimentary Harrisburg airport shuttle service offering transportation to and from Harrisburg International Airport (MDT) during the times of 6am-12pm and 4pm-11pm. Season's Restaurant serves American cuisine in a relaxed, casual environment. Breakfast at our Harrisburg dining establishment is a great way to kick off the last day of your weekend. As tables go fast, make your reservation today for dinner including pasta, shrimp, dessert and more. As a family-friendly hotel, kids 3 & under eat free. Season's Sports Lounge is our inviting bar, where you can watch sports or entertain a client. Enjoy our Happy Hour Specials menu filled with sliders, fish & chips, pub pretzels, and nachos. Nine flat-screen TVs allow you to enjoy the Eagles, Phillies, Flyers, Steelers, Pirates, Penguins, Nittany Lions or your hometown team in high definition. Come experience Harrisburg dining with us today. For your Harrisburg or Hershey event, Season's also offers private dining in Hershey. To learn more about Season's or to make reservations, call us at (717) 704-0737. At Season's Restaurant in Harrisburg, we serve quality American cuisine and friendly service. Our menu includes fine steaks, fresh seafood, as well as some of the tastiest crab cakes around. Join us for breakfast daily from 6:30 am-11 am for a hot, made-to-order breakfast or stop in for dinner including pasta, shrimp, salad bar, dessert and more. Don't forget - kids 3 and under eat free at Red Lion Hotel Harrisburg Hershey. To learn more about Harrisburg dining at Season's or to make reservations, call us at (717) 704-0737. Relax after a day of exploration or entertain a client by stopping by our Harrisburg sports bar, Off Season's Sports Lounge. Nine flat-screen HD TVs capture your teams in high definition. Watch local Pennsylvania teams like the Eagles, Phillies, Flyers, Steelers, Pirates, Penguins and Nittany Lions. Our Harrisburg nightlife venue serves a full selection of premium liquors, beers, and wines. Late night fare is available until 11 p.m. Our menu includes nachos, sliders, pub pretzels, wings, and much more. Come to Off Season's Sports Lounge for the best experience in Harrisburg sports bars. With 19 meeting rooms that can accommodate anywhere from 5 to 600 people, our Hershey, PA venues in Harrisburg are flexible enough for almost any event. 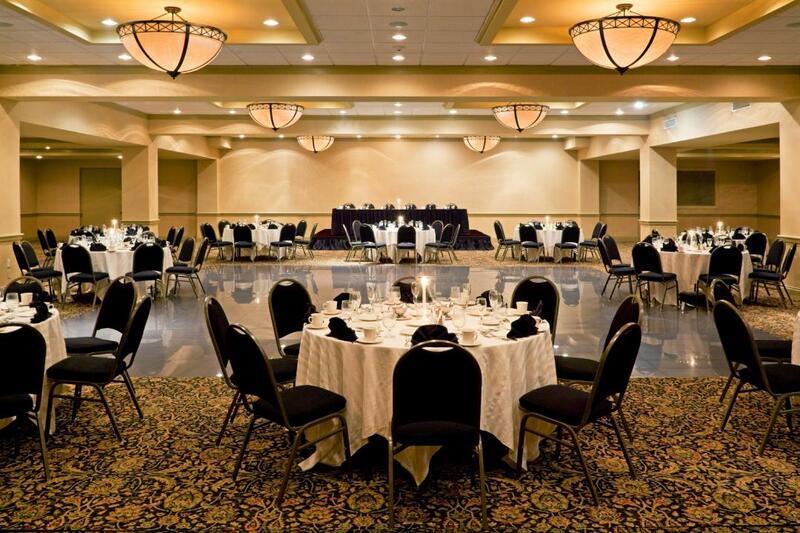 Our three elegant ballrooms are ideal for conferences, conventions, weddings, or other Harrisburg events. Our crown jewel is the Dauphin Ballroom: at 7,100 square feet, it's perfect for a large wedding reception. We offer several catering options for our guests, as well. Call us at (717) 704-0720 to inquire about group rates and event planning. Hosting your event with Red Lion Hotel Harrisburg Hershey means having access to quality Harrisburg, PA catering services. Season's Restaurant crafts delicious American cuisine, including a Prime Rib and Seafood Buffet, and your guests will savor the creations of our chefs. Our event planners make sure your Harrisburg and Hershey catering are tailored to your event's needs, whether it's a massive conference or a small gathering. Our catering services ensure that your event will have the extra pleasantries that will make it an exceptional success. To begin planning an event with Red Lion Hotel Harrisburg Hershey, please let us know that you require and we will ensure your event has dining that your guests will find delicious. Discover the best of catering in Harrisburg with Red Lion today. With spacious ballrooms and personal service, Red Lion is a picture-perfect Harrisburg venue for corporate conferences of all kinds. Book our Dauphin Ballroom to obtain the most space. With a convenient location near the Harrisburg airport, along with comfortable accommodations and nearby dining, our hotel will cater to your guest's needs. Our Harrisburg conference rooms are able to accommodate breakout sessions for more intimate discussions or for smaller meetings. Contact us by calling (717) 704-0720 and inquire about hosting your next Harrisburg or Hershey convention or conference with us. Red Lion Hotel Harrisburg Hershey recognizes the hard work that local, state and federal government employees provide. As our way of saying Thank You - we are offering the per diem government traveler rate. Red Lion Hotel Harrisburg Hershey is an ideal location to rest and recharge - centrally located to downtown Harrisburg and Hershey - featuring free airport shuttle service, free WiFi, indoor & outdoor pools, business center and more. For the best government discounts on Harrisburg hotels, look no further. If your agency is traveling as a group contact our Sales Team at 717-939-7841 today. 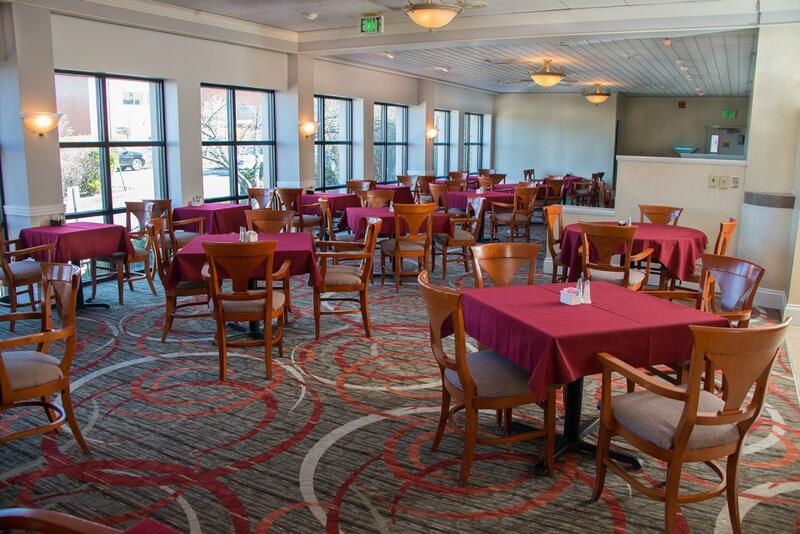 With over 27,000 square feet of Harrisburg meeting space, Red Lion Hotel Harrisburg Hershey is the ideal location for your next business meeting or special event. Located just minutes from Hersheypark, the downtown Harrisburg central business district, within a few hours of many major cities, and is easily accessible by the Pennsylvania Turnpike, Amtrak’s Keystone Service, and Harrisburg International Airport (MDT). Our Hershey event venues are perfect for your next gathering. The Hershey-Harrisburg Region has active fan bases, versatile venues, and convenient travel. It's been named one the best Minor League sports markets in the country, and you can take advantage of the excellent sporting culture here. Here are the best sports venues in Harrisburg, which are also some of the best in the nation. Come stay at one of the top hotels near Hershey stadium for group travel and events: Red Lion Hotel Harrisburg Hershey Park. The Giant Center is a state-of-the-art facility that houses the Hershey Bears Hockey Club along with ice skating, basketball, wrestling events, and PIAA high school sports championship games. The Giant Center seats 10,500 for ice events & 12,500 for all other events, including floor seating. The center has food and beverage services for catering, along with concession locations and luxury suites. 10,000 parking spaces give plenty of room for attendees at this massive Hershey sports venue. A one-million-square-foot Harrisburg sports venue that hosts tournaments, championship games, exhibition matches, and whatever sporting needs you have. Planners will love the diversity and versatility in the expo hall space and SnapSport flooring. It's also home to the annual US Junior National Girls Basketball Tournament. One of the largest and most innovative indoor facility in the country, Spooky Nook has 700,000 square feet under one roof and more than 50 acres of outdoor facilities. It's home to the USA Field Hockey team. A climbing gym with walls reaching 30 feet in height, and a fitness center, tennis club, pro shop, arcade, sports courts and batting cages are additional features that provide training for any sport. Home of the Harrisburg Senators, the Washington Nationals' AA affiliate, this new stadium debuted in 2009 and in 2010, was named Ballpark Digest’s Renovation of the Year. The park lies on Harrisburg’s City Island Sports Complex and gives spectators a view of the Susquehanna River and the Harrisburg skyline. The largest video scoreboard in minor league baseball looks over one of the best playing surfaces in the minor league. Hersheypark Stadium is located next to Hersheypark, so you can take advantage of the stadium's sporting events and a world-class amusement park. The stadium hosts the annual Big 33 Football Classic, high-school soccer, and lacrosse championship games. The large stadium hosts approximately 16,000 fans by its state-of-the-art synthetic grass field. 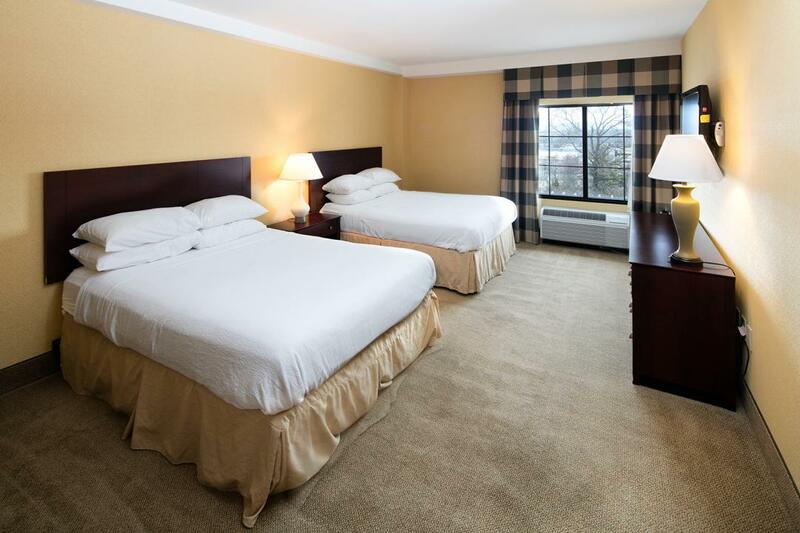 When looking for lodging near Hershey Park Stadium, you couldn't choose a better destination than Red Lion. 'The Old Barn' has seen many historic events, including basketball star Wilt Chamberlain's record 100-point game in 1962, a birthday party for United States President Dwight D. Eisenhower in 1953, and the first ever Ice Capades Show in 1940. The NHL-regulation 200'x85' ice rink has a 7,200 seating capacity along with multiple locker room facilities. It is conveniently located beside Hersheypark, Hersheypark Stadium, and Hershey's Chocolate World. Red Lion Hotel Harrisburg, one of the best Hershey Stadium hotels, is minutes from some of the top sports team travel destinations in Central Pennsylvania. Reach out to our sports team hotel for additional information on group rates. Host Harrisburg, PA weddings at Red Lion and enjoy unrivaled service and serene surroundings in our Hershey, PA wedding venues. With large ballrooms and comfortable rooms, we make sure your special day is one that's worth remembering for a lifetime. Our venue will help meet your needs, whether you're looking for a bridal shower, reception with a large family, or anything else. Contact us today at (717) 704-0720 to inquire about booking Hershey weddings with us. Our hotel places you minutes away from an array of things to do in Harrisburg, PA, Dauphin County, and Pennsylvania Amish Country. Enjoy a day of thrills and sweets at Hersheypark, or experience history at the famous Gettysburg battlefield. As the capital city of Pennsylvania, Harrisburg sits at the intersection of history and culture. We have many events throughout the year that you'll love. On a family vacation to Harrisburg / Hershey, PA? Make it a memorable one by exploring the best Harrisburg activities for families. Enjoy an afternoon indulging your sweet tooth at Hershey's Chocolate World, or visit The State Museum for an educational day of archaeology and history, or lounge around the hotel with onsite family activities in Pennsylvania for kids. Browse these nearby Harrisburg Hershey attractions to make the most of your family vacation! Hershey's Chocolate World is the go-to place for Hershey lovers. Visitors can take a ten-minute chocolate tour ride, make their own candy bars, go on a trolley ride around Hershey, participate in chocolate tasting groups, and shop. The State Museum of Pennsylvania has over 4,000,000 objects related to life in Pennsylvania since the beginning of time. See historical cars, like a Model T, and ancient dinosaur and mammoth skeletons. Dutch Wonderland is a 42-acre amusement park with 34 rides and a water play area. The park is geared for parents of small children, and it also has shows that are geared towards preschool age children. When President Theodore Roosevelt attended the dedication of the capital building, he said, “This is the handsomest building I ever saw.” The Capitol was designed in the American Renaissance style by Philadelphia architect Joseph Huston, who envisioned the building as a “Palace of Art." Marvel at this gorgeous building, where the state's laws are created, debated and passed. There are many things to do in Harrisburg, PA for history buffs. Our hotel near Gettysburg lets you explore the pivotal battle of the Civil War. Explore the Gettysburg battlefield or see the National Civil War Museum. Gettysburg National Park A must-visit for history buffs. Gettysburg National Park commemorates the battle that was the turning point in the Civil War. The battle was also the inspiration for Abraham Lincoln's famous "Gettysburg Address." Visit this historical site to experience an important part of American history while staying at our hotel near Gettysburg. National Civil War Museum The National Civil War Museum has excellent exhibits on the Civil War. Exploring both sides of the conflict, the museum exhibits many artifacts, pieces of clothing, and documents that pertain to this tumultuous era in American History. 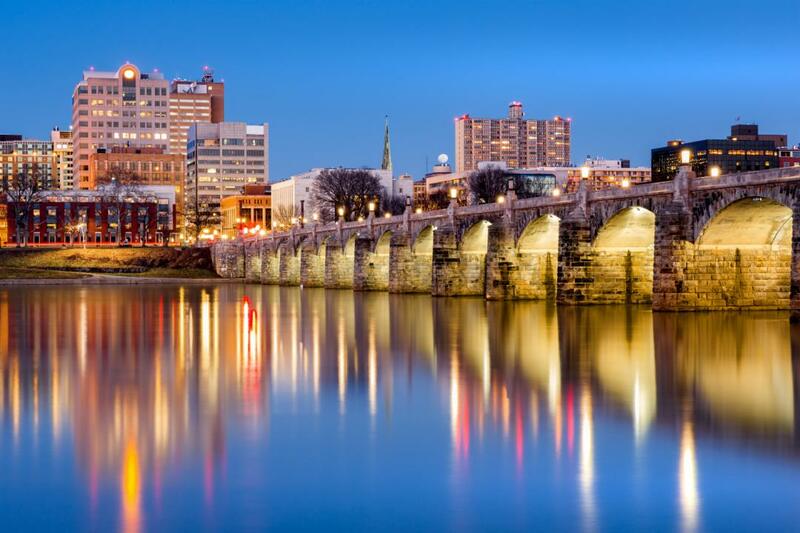 Harrisburg, Pennsylvania is home to a long and proud history as the capital city of the Commonwealth of Pennsylvania. 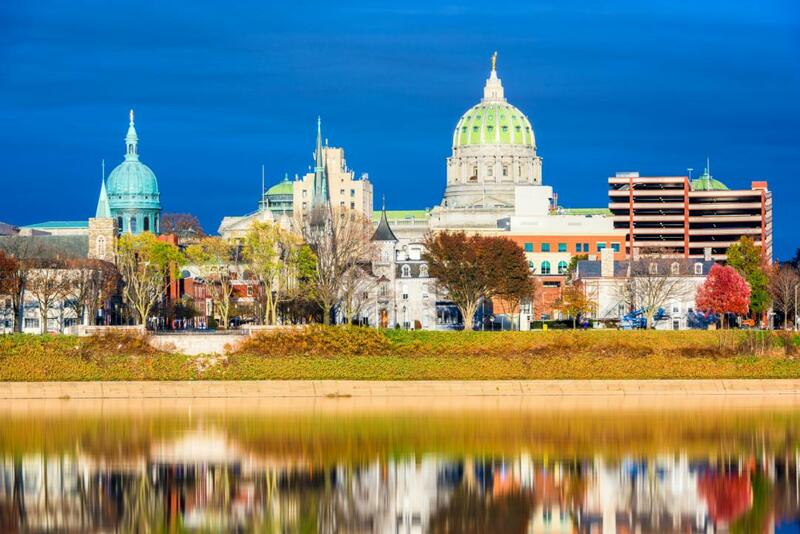 Dating back to the 1600s, Harrisburg has been an important city and is now home to some of the finest attractions and destinations not just in Pennsylvania, but in the United States. From historic landmarks to protected parks and more, no visit to Harrisburg is complete without experiencing the rich history of the city. 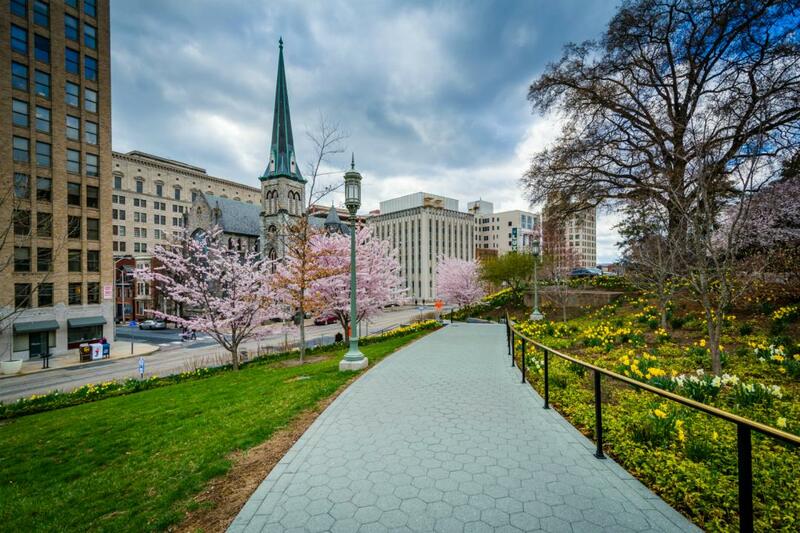 Though the city is rich with iconic destinations both old and new, we have selected a few of our favorite attractions to help start your adventure when you stay at the best choice in Harrisburg, Pennsylvania hotels. Completed in the early 1900s, the Pennsylvania State Capitol was envisioned as a "Palace of Art" by architect Joseph Huston. A priceless icon of both Harrisburg and Pennsylvania, the capitol remains a hub of democracy. Guided tours are sure to please any visitor, as are any of the events hosted throughout the year at the capitol. The National Civil War Museum is a Smithsonian Affiliated Museum dedicated to providing a balanced portrayal of the entire American Civil War. The museum attracts over 40,000 visitors annually and offers an expansive program of exhibits, lectures, programs and more. Home to countless species of flora and fauna, Wildwood Park sits on the edge of Harrisburg and is an ideal place for both solo and family travelers. Explore the trails and snap photographs, or attend one of the park's programs or special events to learn more about Harrisburg's natural environment. Situated on a bluff over the Susquehanna River, Fort Hunter Mansion and Park embodies the rich history of Pennsylvania. A former war fort, the property has also been a hub for commerce and a private estate. Now open to the public, Fort Hunter Mansion is a beautiful and educational venue favored by locals and visitors alike. From regional wildlife and ancient dinosaurs to Civil War artifacts, classic cars and more, the State Museum of Pennsylvania is home to a broad collection of outstanding artifacts and tremendous exhibits. With a calendar full of events, exciting groups and terrific exhibits, there is always something going on at the museum. Experience our lodging in Harrisburg today and make the most of your Pennsylvania vacation. The home of Hershey chocolate, Hershey, PA really is the Sweetest Place on Earth. Visitors flock to Hershey each year to see the sites, like streetlights designed to look like Kisses and the Hershey Museum, and soak in the good cheer of Hershey. When the air smells like chocolate, you know you have found yourself in a truly wonderful place. 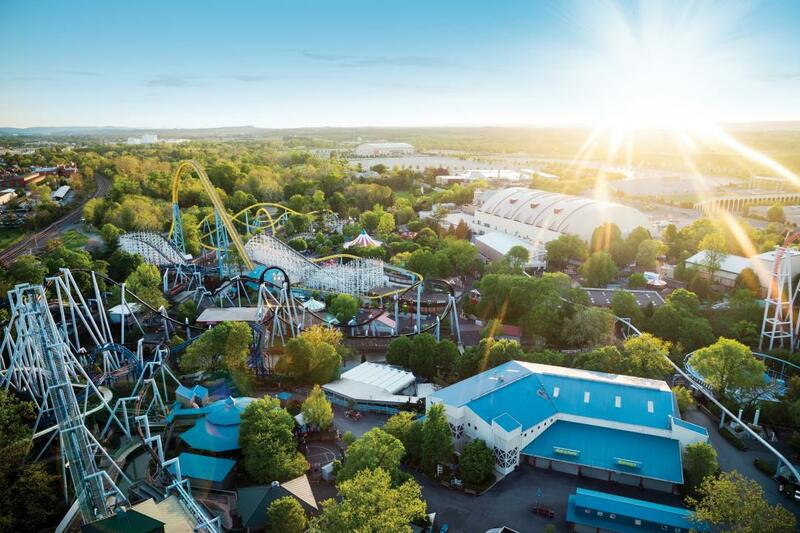 With rides for all sizes and an array of dining, live entertainment and shopping spots throughout the park, Hersheypark is a must-visit destination for all visitors to Hershey. Take a tour to see how your favorite chocolate is made, create your own candy bar, enjoy an immersive chocolate-tasting experience and more at Hershey's Chocolate World. Visit one of North America's most beloved zoos--ZooAmerica. This year-round, 11-acre zoo is adjacent to Hersheypark and features more than 200 animals from five regions of North America. The Chocolate Spa offers the ultimate indulgence with a lineup of premium, chocolate-themed treatments in a classic, peaceful environment. Hit the links on one of three award-winning golf courses at Hershey Country Club. Dating back to the 1930s, Hershey Country Club offers fun for golfers of all caliber. Though no one could blame you for eating only chocolate during your stay in Hershey, the area is full of excellent dining options like The Forebay, The Bears' Den and more. The Hershey Theatre is the area's premier performing arts center, hosting everything from Broadway productions, world-famous entertainers, dance performances and much more. Whether you are looking for the perfect gift at Hershey Gardens or picking up something from Hershey Country Club for the golfer in your family, there is an array of shopping destinations throughout Hershey.